El Paso & Southwestern Railroad & Freight Depot – SAVED! 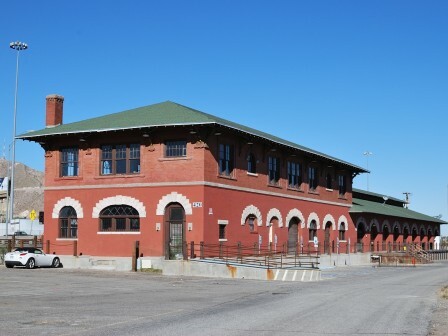 This 1903 Italianate terminal, designed by Daniel H. Burnham and built by the Phelps-Dodge Company, allowed merchants to load, unload or store freight shipped on the El Paso & Southwestern Railroad. Not only is this building listed as a local historic landmark for its historical significance, but its nationally known architect also designed Union Station in Washington, D.C. and the El Paso Union Depot. The windows are covered with plywood to discourage vandalism but the building is threatened by neglect and the misdirected preservation efforts of previous owners.